The Shower Screen is the centre piece of any beautiful bathroom and it is important to ensure that you make it your priority as it is the main focal point of the bathroom. We have a LARGE range of shower screens ranging from Frameless Shower Screen, FramelessShower Panel, Sliding Shower Screens and Semi Frameless Shower Screen. 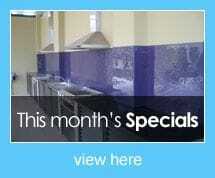 WHY CHOOSE OCEAN BLUE GLASS? We are one of a few businesses that offer EASY to clean glass... Textured Glass. 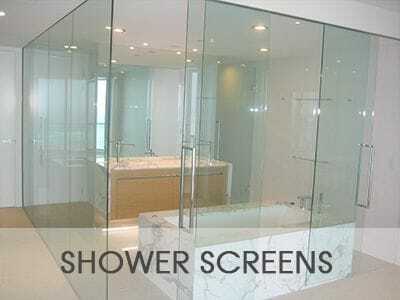 Our shower screens are custom made to ensure a perfect fit everytime. Our highly qualified tradesman measure, supply and install your shower screen without using subcontractors... giving us total control. Family and Locally owned and operated since 2002. Licenced in BOTH NSW & QLD!! Our textured glass shower screens can change your bathroom from the ordinary to unique. 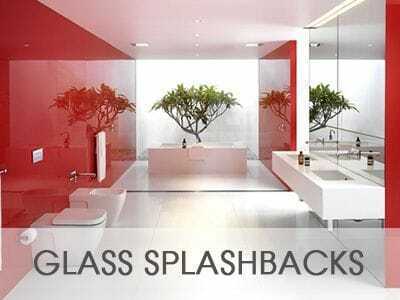 Textured Glass makes cleaning your bathroom a breeze! Clear glass shows all water stains and calcium build up and the pores in the glass traps the dirt making it impossible to get the sparkle back. The smooth undulating side of the glass camouflages unsightly waters stains that are inevitable on clear glass. The pores in the glass are reduced when fired in our kiln. Our clients are discovering the textured glass secret. We make our own glass glass in our two large commercial kilns. You have a large selection of patterns to choose from, from the simple and unobtrusive through to custom designs to suit your decor. Discover the secret today! Ocean Blue Textured Glass Frameless shower screens give a look of luxury and style. All our frameless shower screens are manufactured with the strength and safety in mind. 10mm thick toughened safety glass is used and no frame is required around the edge of the glass. The density of 10mm glass not only gives your bathroom a larger appearance, but also allows for a sleeker more modern look in your bathroom. Our shower screens are made to measure, ensuring a good fit with wall and floor, this vital in the visual appearance of the end product. One of the most important factors to consider when choosing a frameless screen is the hardware; this can affect the long term functionality of your shower screen. Ocean Blue Glass only use high quality hinges and bracket and all of our hardware comes with a three year warranty from the manufacturer giving you confidence knowing your screen will give you many years of trouble free service. Our Semi frameless shower screens are TRULY semi frameless made from 6mm thick toughened safety glass with minimal frame around the exterior of the of the shower with a top and bottom pivot on the frameless door. Available in a range of colours, the Quantum series can be fitted to all new and most existing bathrooms. The Quantum series is an affordable luxury to help you create a stunning and visually spacious and stylish bathroom.Not or semi frameless shower screens are the same and some have a lot more frame work and are only partly semi frameless. Visit our showroom to see the why our Quantum Semi Frameless shower screen is above others on the market. Sliding Shower Screens solve the space problem for the smaller bathroom where a hinged door restricts access room. At Ocean Blue Textured Glass, we keep up with innovations in the Shower Screen Industry and our revolutionary new sliding system is the product of quality engineering. Our design combines a minimalist, strong and elegant finish with an effortless sliding operation without the unslightly look of a frame. Gone are the days of the daggy 3 door framed Shower sceen, our sliding shower shower screens saves bathroom space while looking luxurious.